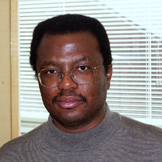 Dr. Wilfrid Gangbo is a Professor in the Mathematics Department at the Georgia Institute of Technology. His research interests include calculus of variations, partial differential equations, AMS classification 35 and 49. Dr. Gangbo is a Fellow of the American Mathematical Society, Program Director at the Nuclear Science Foundation, Member of the U.S. Committee on Mathematics, and on the Editorial Board for ESAIM: COCV; SIMA; and Networks and Heterogeneous Media. Mac Hyman is the Philips� Professor of Mathematical Sciences at Tulane University. 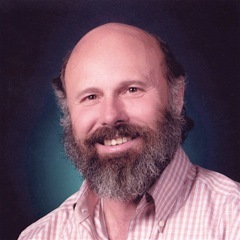 He is the past president of the Society for Industrial and Applied Mathematics (SIAM) and was the leader of the Mathematical Modeling and Analysis Group at Los Alamos National Laboratory for over twenty years. His research interests include mathematical biology, nonlinear dynamical systems, and the numerical solution of differential equations. When away from his day job, he is a dancer, plays (at) the piano, and spends as much time as he can creating ceramic sculptures. Ilse's research interests are in numerical analysis, with particular emphasis on numerical linear algebra and randomized algorithms, and applications in quantum physics and information retrieval. 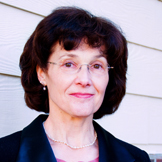 Dr. Suzanne Lenhart is a Professor in the Mathematics Department at the University of Tennessee. She is an applied mathematician with research publications spanning several areas of biology including HIV, TB, bioreactors, bioeconomics, cardiac function, population dynamics, disease modeling, and resource management. Dr. Lenhart is a member of SIAM’s Board of Trustees and Education Committee. She has extensive experience through her work as a former president of the Association for Women in Mathematics, as well as her volunteer activities and involvement with local high school students and with Mu Alpha Theta.